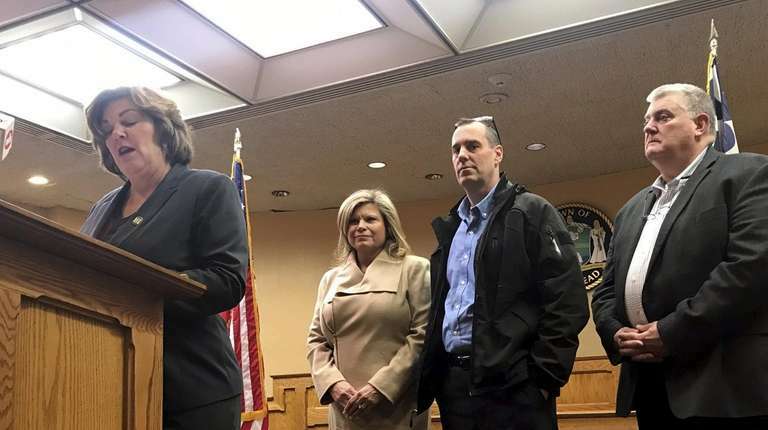 The town supervisor said a code enforcement crackdown revealed asbestos, cracked foundation walls, unsafe wiring and, in some cases, no inspections in a decade. More than 100 violations were issued to downtown Riverhead property owners in what was dubbed a “major action” cracking down on potentially unsafe buildings, Riverhead officials announced Tuesday at Town Hall. While officials declined to reveal which 10 properties had been issued the violations, Supervisor Laura Jens-Smith said violations that Riverhead’s fire marshal and code enforcement agents issued last week to the property owners ranged from animal infestation to exposed asbestos, leaky roofs, unsafe electrical wiring, foundation walls with severe cracks and nonoperational fire and sprinkler systems, among other problems.